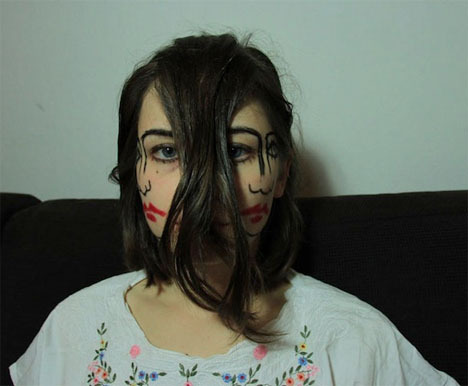 It’s amazing what a few strokes of a black eyeliner can do – like create an unsettling optical illusion that makes it seem as if a girl has two faces. 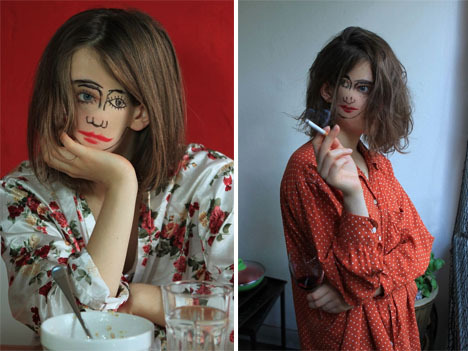 The ‘Doublefaced’ project by Sebastian Bieniek is deceptively simple, requiring no trick photography or Photoshopping. 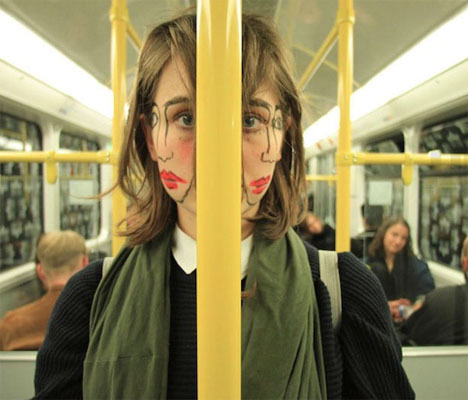 It’s just a girl with two cartoonish faces, but the results are more compelling than you’d think. Glimpsed between messy locks of hair, a single drawn-on face gives the illusion of a tiny head on a normal-sized human body, as if a figure from a drawing or painting has gotten up off the page and walked into the real world. 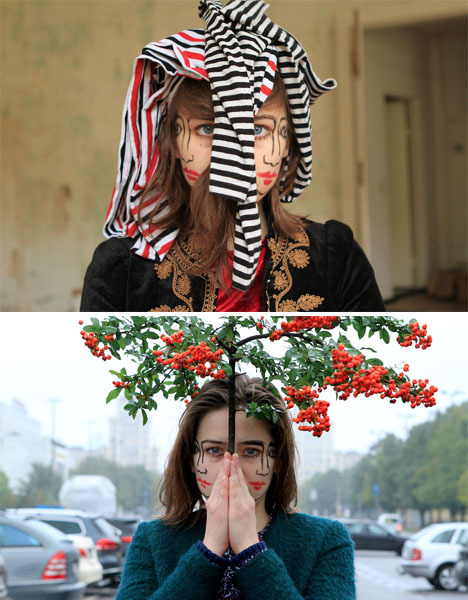 The effect is even creepier when the model splits the two faces with a pole, a branch or her own hair. 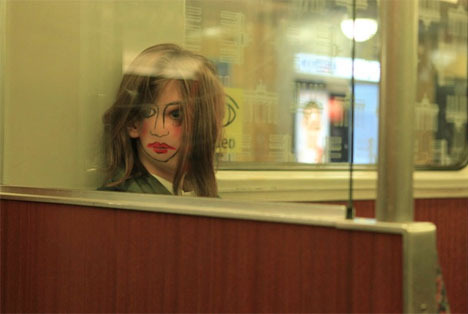 She becomes a set of twins that, at first glance, are almost disturbing on a level worthy of The Shining. The artist not only captures a sense of duality in the model, but also a mash-up of two-dimensional art in a traditional medium and reality, much like a recent series that combined large-scale drawings with photography to produce incredible illusions.